If you’re searching for information on locating a Bakersfield Real Estate Agent then you’ve come to the right place. There are approximately 1500 Bakersfield Real Estate Agents serving Kern County and those agents consist of both full-time and part-time agents. Hiring a Realtor in Bakersfield can be very easy and in turn it can be a disaster, the tips you learn in this article will help you properly interview your next agent. If you’re looking to hire a real estate agent in Bakersfield CA then you’ll want to make sure you ask the right questions. Did you know that a typical Bakersfield real estate agent will fall into a “Part-Time” working category? This is important to note because when you choose to buy or sell your next home you’ll want to make sure that the agent you hire is a full-time agent and has the experience to properly service your real estate needs. Part time real estate agent is defined by 6 or less transactions per year. You may be surprised to know that while the average agent may close 7-11 deals per year a truly busy agent that has elected real estate as their career (“Full-Time” agent) will close 3 or more deals on average per month. Of the approximate 1500 agents in Bakersfield, almost 700 fall into the “Part Time” category. That means roughly 50% of the agents you interview to buy or sell your next home will likely be part-time agents. This should gravely concern you, after all would you trust your life’s savings or retirement account to a part-time investment banker? Obviously not so why trust the most important asset and expensive transaction of your life to a part-time agent? Hiring a Realtor can be a daunting process but trust me when I say the daunting process will seem like a cake walk compared to the actual transaction if you don’t do your due diligence and hire the right one. Choosing the right real estate agent takes preparation, planning and some research prior to the actual “agent-client meeting”. If you think you can bypass this process and just hire your friends nephew who is an agent then be my guest, keep in mind though unless he’s an experienced agent you’ll likely be setting yourself up for failure. If you decide to heed my warning and hire a Bakersfield agent the right way then continue reading and we’ll give you the tips you need to make the right decision. It’s free to hire a Bakersfield Realtor as a buyer!!! As a buyer did you know it wont cost you a dime to be represented professional by a licensed Bakersfield real estate agent? Some Bakersfield Realtors and their Brokerages might charge a junk fee like a transaction fee but don’t let these fees fool you. Real estate commissions are paid by the seller so seeking representation as a buyer shouldn’t cost you anything. We never charge our clients any junk fees, ever… we will never do business that way! For more information on commissions, check out our article Realtor Commission, Who Pays It? to learn more. When selling a home you want to make sure you pick an agent that has plenty of experience listing and selling homes. All agents can list homes for sale but not all agent can sell homes, what I mean is you’ll want to make sure your listing agent has proven past success. Checking all the major real estate websites like, Zillow.com, Trulia.com and Realtor.com for agent testimonials will help you widdle down some agents you may have on your list. Additionally, sites such as Yelp.com will help get you acquainted with the real estate office the agent works for to ensure you entrust your business not only with the right agency but also with the right Bakersfield Real Estate Office. Lastly check the websites of the agent and real estate broker. Does the website promote a professional presence while calling potential buyers to inquire about properties? Sellers will want to prepare themselves with some questions to ask the agent they’re interested in hiring. First and foremost you’ll want to make sure that the agent you’re interested in working with is someone you can work well with. Begin your agent interview process with some light dialogue, get to know the agent as a person to make sure your personalities will mesh well. Ask some questions and make sure the agent can communicate professionally and thoroughly, after all they’re representing you and your home. It’s important that you feel completely comfortable talking with the agent and feel that they can communicate comfortably well with you as well. Remember, selling your home is a very important process so you’ll want to make sure that you and your agent work well together. How many transactions did you close in the last 12 months? When agents answer this question you’ll immediately know whether they work as a full-time or part-time agent. If the agent replies with 6 deals or less and they say state they work full-time in real estate then you may want to cross them off the list. Busy agents are not only more proficient in their jobs they’ll likely sell your home quicker because of the contacts they have with other agents. How many homes have you sold in this neighborhood in the past two years? Often times agents don’t just concentrate in one area so don’t expect a very favorable response to this question. In areas like Bakersfield, CA you have approximately 1500 agents competing for business so expecting an agent to concentrate specifically on one area might just be asking a bit too much. Top producing agents will likely have sold homes in your area just by default within the past couple years so although the agents numbers for your immediate area might not be highly impressive, consider their overall business. How many homes do you currently have listed? Another proper question to ask regarding the quantity of the agents current business might be how many clients/sellers is the agent currently representing? 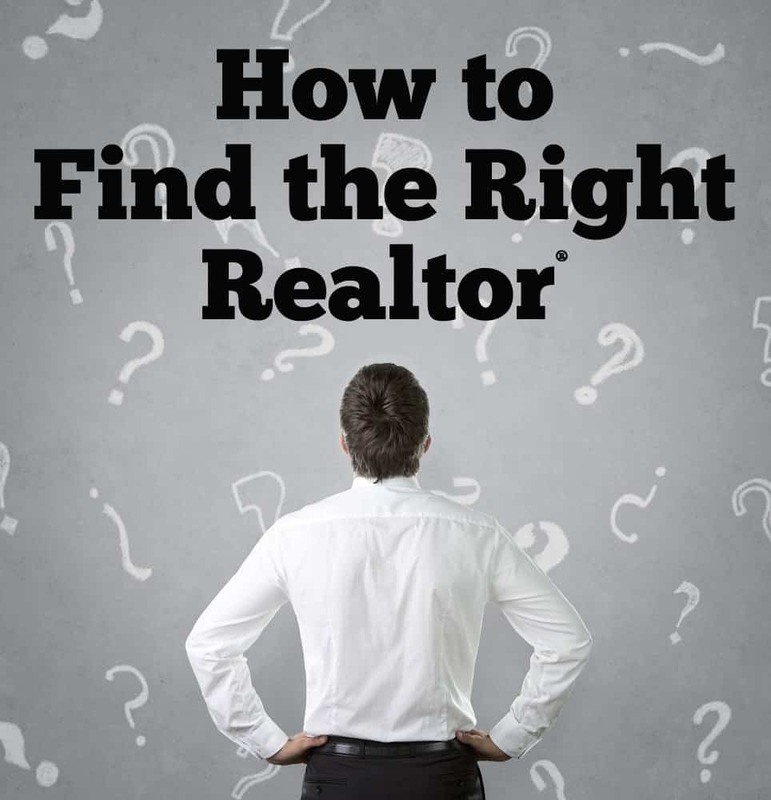 The answer to this question will help you realize how busy the agent is, you’ll want to hire an agent that is knowledgeable, professional and has business but you don’t want to hire and agent that is so busy that they don’t have time for you. Many full-time agents also have full-time staffs and this will help alleviate some pressure but when you need to speak directly with the agent you want to make sure you can get in contact with them quickly. Agents that close approximately 50 transactions per year with an assistant is the perfect amount of business, you can be assured the agent is busy enough to stay sharp in the real estate business but not to busy that they treat you like a number. As the agent representing me and my home, how involved will you be and what items will be delegated to potential team members? This question goes hand in hand with the question #3 above, I’ve been asked this question many times. As a seller you’ll want to make sure that items like, negotiations, repairs, direct client contact, etc will not be sluffed off to a staff member and will be personally handled by the agent. What will you charge me to sell my home? Most brokerages charge fees that equate to 6% of the homes selling price. Commissions are negotiable although some agents may not be negotiable with their fees and that’s their business. For more information on commissions, check out our article Real Estate Commission is Negotiable. Commissions are split between the buyers agent and sellers agent, based on the 6% that means each agent would each receive 3% of the homes selling price. Our clients receive a discounted commission due to the amount of homes we sell, if you sell your home with Tholco you can save thousands using our low 1.9% listing commission, click here to learn more. Have you prepared a valuation on my home, if so may I see it? Ahhh, the final moment of truth when you see what your home is actually worth. The valuation that the agent presents to you show include both active and sold properties, properties in a “Pending” status are properties that are in escrow and are still considered for valuation purposes still “Active”. What type of advertising and marketing do you do? Did you know that 90% of all buyers use the internet as their first method of searching for a home? Agents that use a heavy online marketing strategy will ensure lower days on market and at many times higher prices for their selling clients. If the agent mentions they will market your home online ask specifically on what websites? You’ll want to make sure your home has the best possible exposure; sites like the MLS, Zillow.com, Trulia.com and Realtor.com should be bare minimum requirements. Agents that will not have your home listed on at least these four sites probably shouldn’t be considered as there is no way for them to properly represent you if they cannot even properly market your home. Do you require a certain time that I must keep my house listed with you? The two most common listing agreements are the Exclusive Agency Listing and Exclusive Right to Sell Listing. Both these listing agreements require some sort of time limit for a property to be listed. Most agents will encourage sellers to list their home for six months however like commissions the amount of time sellers list their home for is completely negotiable. Listing contracts may be for as little as one day or multiple years and will likely vary due to the type of property being listed. How long have you been a licensed real estate agent and do you carry the Realtor trademark? This question is pretty self-explanatory but I would encourage a seller that receives any answer less than two years to strongly look at all the other attributes of the agent. Beware, agents with less than two years of experience may only have a handful of transactions under their belt and thus may not have the knowledge base to properly represent you as their client. The second part of this question pertains to their Realtor affiliation. Did you know that not all Bakersfield Real Estate Agents are Bakersfield Realtors? In order to carry the Realtor name you must take additional ethics training, for more information on what additionally is required to carry this special trademark, check out the National Association of Realtors – About Realtors page. Have you ever received a client complaint and if so how did you handle it? This is a great question to ask because it specifically targets their honesty, busy full-time Bakersfield real estate agents will likely have had some complaints in the past. The ‘ol saying “You can please some of the people all of the time, you can please all of the people some of the time, but you can’t please all of the people all of the time” definitely hold true in real estate. Real estate transactions can become very emotional for some people and when there are so many moving parts within the transaction, people are destined to be unhappy sometimes. The answer you get from an honest agent will likely be yes I have had some complaints in the past and this is how I resolved them. Be aware of agent with no complaints ever, as they’re either lying or don’t do much business. Once the agent answers this question to your satisfaction follow it up with another question “Is your real estate license in good standing with the state and local MLS”? Agents can receive and resolve complaints all day long and that’s one thing but if they aren’t in good standing with the California Bureau of Real Estate and/or Bakersfield Association of Realtors then you should probably pass on that agent. You can check the agents state license standing at http://www2.dre.ca.gov/PublicASP/pplinfo.asp or call the local Bakersfield Association of Realtors at (661) 635-2300. How will you communicate updates and how often? This question is critical because as a seller you want to establish some guidelines and expectations on how you’ll communicate with your Bakersfield real estate agent. Some point to consider are; how often will updates be made and how? When you’re selling a home it’s nice to get updates on a weekly basis, some of the updates we provide to our clients are if there has been any new showings and what the feedback was on those showings. Additionally we also provide our sellers will weekly updates on their competition; knowing what new properties have popped up on the market and what have sold since the last update gives the sellers the info they need to navigate the waters properly and get their homes sold. Updates such as these are best put in writing, our clients have come to expect the level of service we provide with these weekly updates via email. If the roles were reversed, would you hire you and why? You’re probably not going to ever get a “No” to this answer but its a fun way to get the agent talking about what strengths and weaknesses they have. Knowing areas that your Bakersfield real estate agent excels and falls short in will help you determine whether they’ll be a good fit to work with you and help you sell your home. Can you discuss the listing agreement with me? As previously stated there are two major listing agreements; Exclusive Right to Sell Listing and Exclusive Agency Listing. The real difference between the two are if you as a seller think you might be able to locate your own buyer. If you believe you might be able to secure your own buyer then carefully consider the Exclusive Agency Listing, it might save you thousands in commissions! Carefully discuss both these agreements with your agent so you can make the best decision. Can you explain the sales process to me? The process of selling a home is fairly easy and in a nutshell the home is listed, marketed for sale and once an offer is accepted you enter escrow. Once in escrow, the buyer does all their inspections and secures their financing through a lender, additionally the appraisal is done and once all items are completed you’re ready to close. Of course there are many moving parts within the transaction process like repair and pricing negotiations just to name a few but that’s a very basic overview. Are you a tech savvy Bakersfield Real Estate Agent? Remember that 90% of buyers start their search on the internet, of that 90%, 51% found the home they bought online and 34% of the 90% found the home through an agent. Mind you both items are critically important to closing a transaction but in order to gain the maximum exposure needed to sell the home, your agent must be a tech savvy internet marketer! If you ask your agent what SEO (search engine optimization) or IDX (internet data exchange) is and they stare at you with glossy eyes then your agent probably isn’t as tech savvy as you need them to be. In today’s highly competitive Bakersfield real estate agent market you need to have an agent that knows how to market on the internet. Our website, https://www.tholco.com is SEO and has a IDX built into it to maximize our clients exposure, we work hard to make sure that our search engine rankings improve and adapt as search engines like google.com, bing.com and yahoo.com evolve. Do you think blogging is important and why? This question will further determine your new potential Bakersfield real estate agents level of internet marketing. Blogging is the absolute best way to drive traffic to a website, after all your here reading this blog right? Search engines like google.com, bing.com and yahoo.com love a website that continuously provides unique localized content to its visitors and rewards the website with better search engine ranking. When a site has better rankings that means more visitors, when a site gets more visitors that means more leads and obviously with more leads comes more sales. Hire a Bakersfield real estate agent that knows the importance of blogging because if they know what blogging is and the importance of it then they’ll likely know all the back-end tech marketing information needed to sell your home online in the quickest amount of time. Is there anything else that you can tell me that I haven’t already asked? You’ve covered a lot of ground and probably have a good idea now of what the agent is all about but in closing let them tell you a bit more. This will open the dialogue for some additional light discussion. Hopefully this article helped you in gaining some additional information on hiring a Bakersfield Real Estate Agent. For more information on selecting the right Bakersfield real estate agent to represent you in your home purchase or sale, please contact us by completing the form below. We’d appreciate the opportunity to assist you and be your local Bakersfield Realtor! More specifically if you’re thinking about listing your Bakersfield CA home for sale and would like more information on our low 1.9% listing side commission, click here!